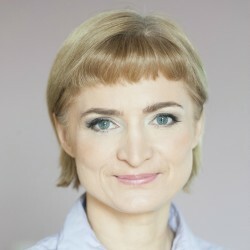 Agnieszka Rymsza, doctor of sociology, currently works in the Civil Society Department at the Chancellery of the Prime Minister in Poland. She graduated from Warsaw University (MA in 2000) and the Graduate School for Social Research at the Polish Academy of Sciences (PhD program). During her doctoral studies she won three international scholarships, thanks to which she studied and collected materials for her PhD at the University of Manchester, UK (a six month Marie Curie Fellowship in 2001), University of Cambridge, UK (one month in 2002) and Georgetown University in Washington, DC (a 18 month Fulbright Fellowship in 2003-2005). During her stay at Georgetown she conducted research on the American nonprofit sector and in 2007 defended her doctoral dissertation, entitled: Towards the loss of identity. Comparative analysis of the nonprofit sectors in Poland and United States. In 2013, Polish Ministry of Work and Social Policy published the Polish and updated version of this work. Apart from doctoral research Ms Rymsza has been involved in a number of other research on the nonprofit sector. She led 9 editions of the Polish part of the USAID-funded research: Civil Society Organizations Sustainability Index. Ms Rymsza has also worked in a number of nonprofit organizations, in Poland and the United States.